Post Diwali, high air pollution levels coupled with a sudden change in temperature have spelled trouble for people of Delhi-NCR. As mercury dips suddenly and a heavy layer of smog engulfs Delhi and NCR on Wednesday, health experts advise people to take extra care to keep health problems at bay. Post Diwali, high air pollution levels coupled with a sudden change in temperature have spelled trouble for people of Delhi-NCR. News Nation talks to Dr. Raju Singh MBBS, DIHBT to discuss ill-effects of smog. 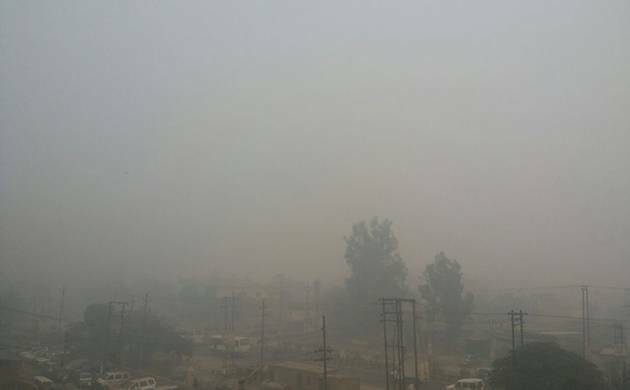 A: After Diwali, pollution level has increased drastically and the sudden onset of winters has led to the heavy smog on Wednesday. This is not fog, as many experts were telling initially; this is smog that is fog plus smoke. Pollutants levels in the air have surged considerably leading to many health problems. Q: What are ill-effects of smog? A: Smog has high percentage of pollutants therefore people suffering from pulmonary diseases, Chronic Pulmonary diseases (COPD) and asthma need to take extra caution to stay healthy. Due to smog, cardiac symptoms like breathlessness, chest pain can happen more frequently. People who have long history of cardiac problem need to stay more alert as in worst case, this can led to cardiac arrest. Q: What preventive measures should children and old age people take? A: Children and old age people have low immune system. People with low immune system should stay in clean indoor environment like house or offices; avoid staying outdoor for long, and wear mask whenever you go out. Q: What we should do to guard ourselves? A: Smog has high level of pollutants therefore avoid vigorous exercise and jogging as indulging in physical exercise ups the need of oxygen required by the body. Also, everyone should wear mask as it will minimize the pollutants in the air.